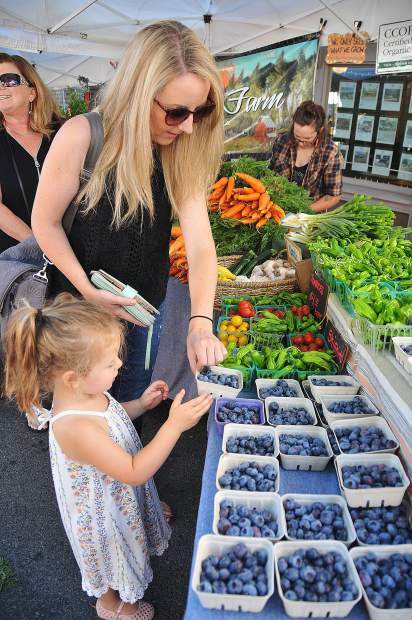 Mary Reome and three year old daughter Marilyn pick out the perfect basket of blueberries from First Rain Farms during Saturday morning's Nevada City Farmer's Market. 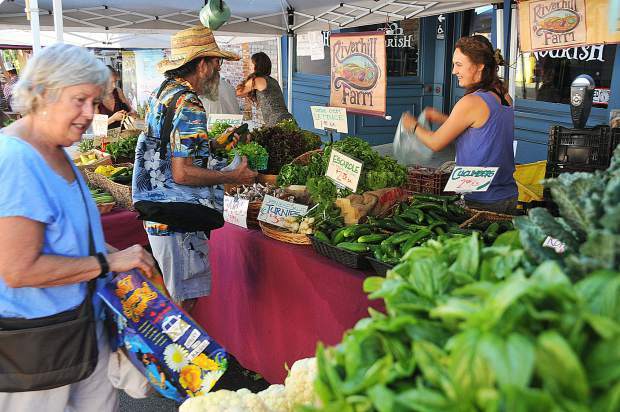 The popular market featuring fresh vegetables, fruit, and other eats, takes place every Saturday morning on Union Street from June through November, and first Saturday's in the months of December through May. 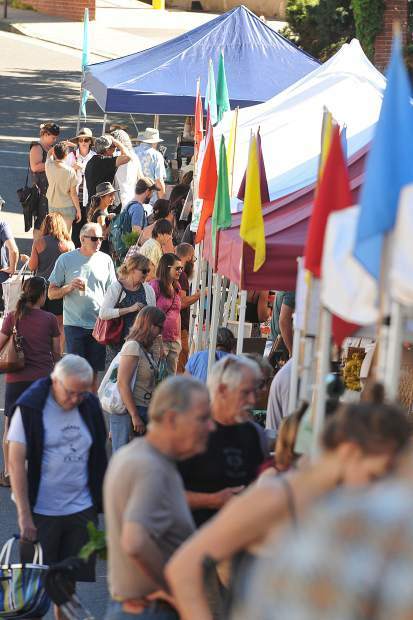 Hundreds of farmer's market fans fill Union Street to find their favorite foods. 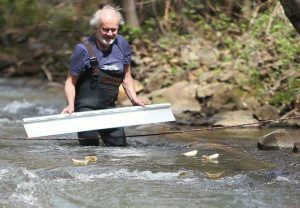 Folks check out Riverhill Farm's veggie stand on Union Street. 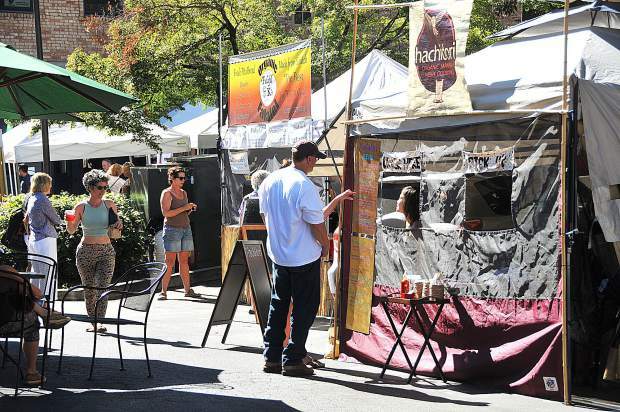 Hot food is offered by vendors as well as the fresh fruits, vegetables, meat and breads available during the Nevada City Farmers Market Saturday morning. 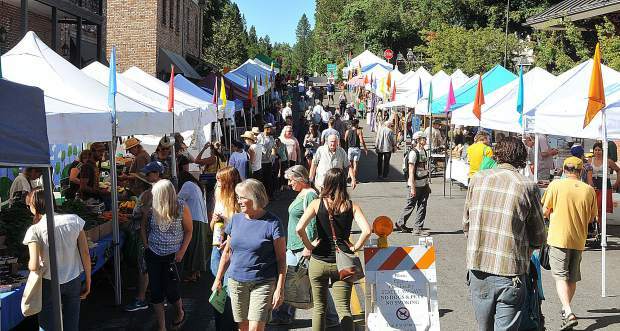 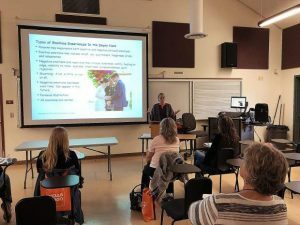 Hundreds of fresh food fans fill Union Street in downtown Nevada City Saturday morning for the now weekly installation of the Nevada City Farmer's Market. 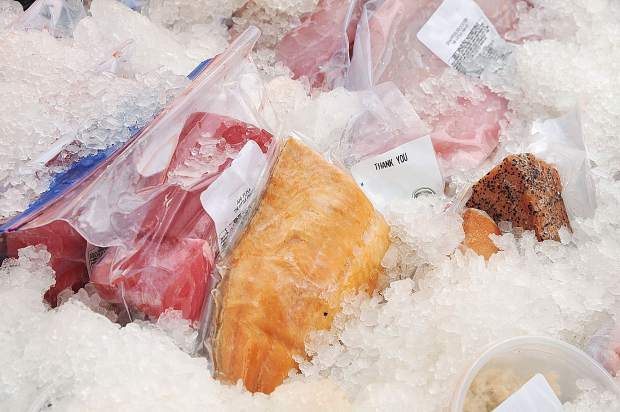 Fresh fish from The Little Fish Co. sits on ice during Saturday's Nevada City Farmer's Market. 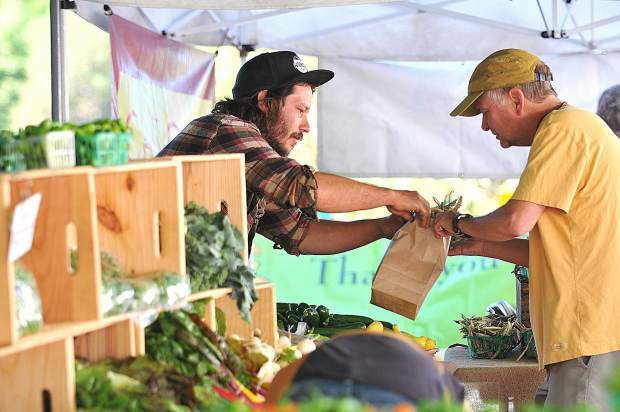 Fog Dog Farms' Will Holland helps a customer with his selection during Saturday's Nevada City Farmer's Market. 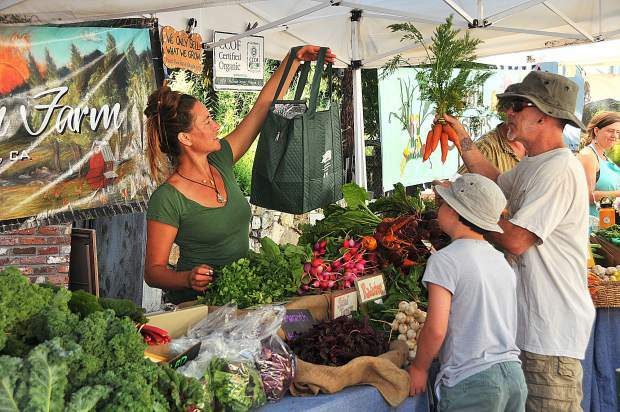 Shoppers pick their selections from First Rain Farm, based out of Nevada City, during Saturday morning's Nevada City Farmer's Market. 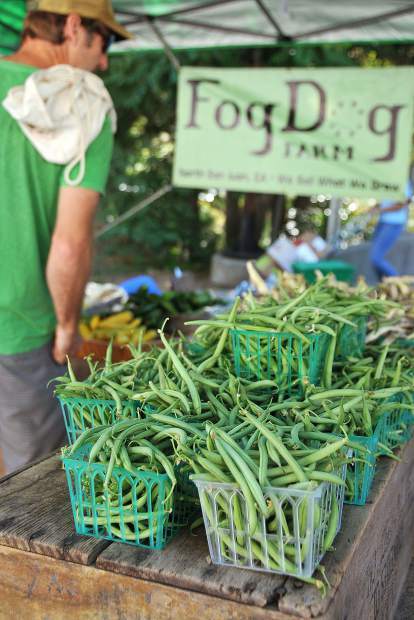 A farmer's market attendee browses over Fog Dog Farms' selection of French Filet Beans.